National Chiao Tung University NCTU, a top research university in Taiwan offering NCTU Elite Internship Program 2019 from international students for their international internship program 2019. This program is proposed for Current Master or Ph.D. students from renowned foreign universities to participate in short-term research at NCTU (Partner school students would be considered first). The Taiwan International NCTU Elite Program 2019 international internship program for Pakistani students and also for the students from around the world. National Chiao Tung University, a top research university in Taiwan located adjacent to the Hsinchu Science Park (the Silicon Valley of Asia), emphasizes the integration of science and humanities by offering innovative training and interdisciplinary studies in a full spectrum of disciplines. NCTU’s Electrical and Electronics, Engineering ranked 44th worldwide (based on QS WU Ranking by a subject of Engineering-Electrical, 2018). The College of Management was accredited by AACSB as well. National Chiao Tung University has been the cradle for the nation’s high-tech industry leaders as well as for innovation and research. Currently, more than 65% of the chairpersons, CEOs and general managers at Hsinchu Science Park companies are NCTU’s alumni. 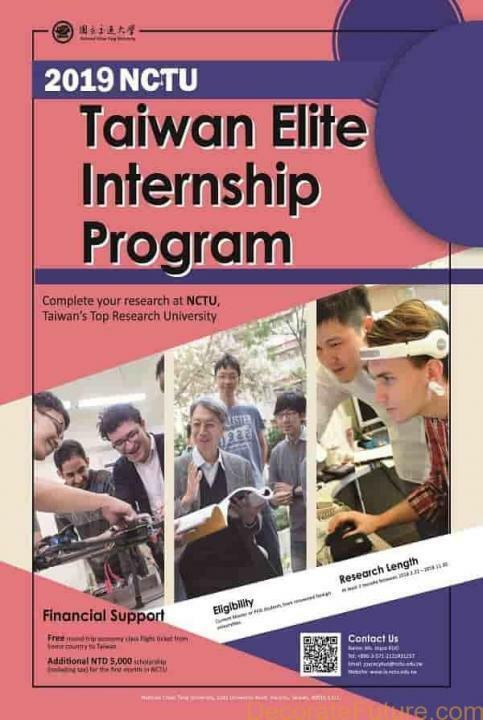 The Taiwan NCTU Elite Internship Program 2019 is proposed for Current Master or Ph.D. students from renowned foreign universities to participate in short-term research at NCTU (Partner school students would be considered first). Also, Faculty members with various specialties from the above fields from different colleges of NCTU will participate in the program and invite prospective students to do research with professors. Students will be conducting research on either a small independent project or assisting an ongoing project in the host laboratories. At the end of the research, students will be asked to submit a report regarding their research work at NCTU. 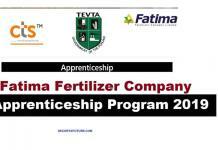 Additional NTD 5,000 scholarship (including 6% tax) for the first month. 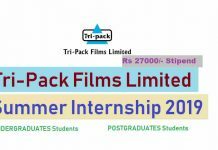 For 4th year undergraduate students in 5-year integrated programs, a stamped proof issued by home university indicating internship is one of the graduation criteria or part of course requirement is a necessary document. Please send the “complete application package” in order in one time via email only to Ms. Elaine Chen [email protected] before the above “Application Deadline”. The last date for applying for the Taiwan International Internship program is 5 June 2019.